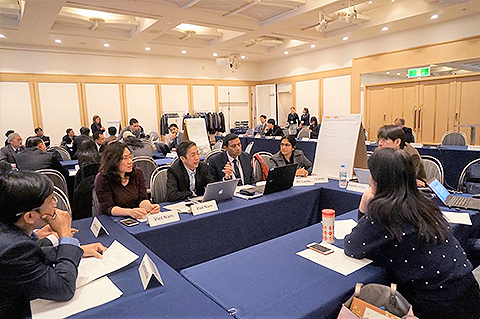 The 14th WEPA Annual Meeting was organized on 22 and 23 February in Tokyo, Japan. 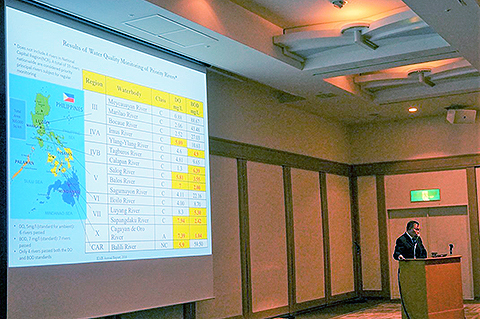 In the morning session on 22nd, Japan’s technical measures for effective wastewater treatment were presented to expand participants’ technical knowledge and understanding. Technologies presented by two organizations, the National Agriculture and Food Research Organization (NARO) and the Foundation for Advancement of International Science (FAIS), have already been tested in Asian countries under MOEJ’s project “Model Project for Improvement of Water Environment in Asia” which is conducted to promote and support overseas development in the Asia-Pacific region of excellent water treatment technology held by Japanese water-related companies and organizations. The Japan Environmental Technology Association (JETA) presented Japan's monitoring and other environmental measurement technologies. In the afternoon, following a summary by the WEPA Secretariat of its activities until the third phase, each partner country stated its updates on water environmental governance during this phase and their expectations on the upcoming phase. Based on those country presentations, on the following day, all the participants discussed the main objectives and specific plan of activities to be implemented in the fourth phase.